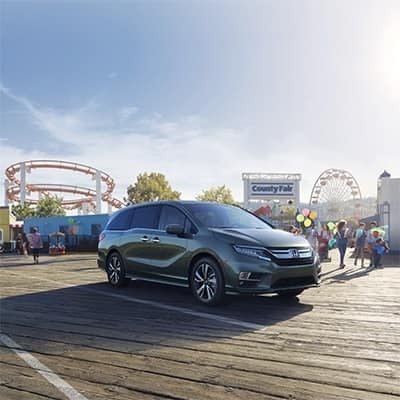 If you’re looking for a dependable minivan filled with the kind of convenience and technology that will elevate your drives throughout the areas of Cerritos, Los Angeles, and Long Beach, while performing at a high level, the 2019 Honda Odyssey is one to check out. Our expert team here at Norm Reeves Honda Superstore Cerritos has put together this 2019 Honda Odyssey Review to show you the many highlights that make this minivan such a noteworthy option. Continue reading to learn more about the Odyssey and to find out if it’s the right fit for your needs as well as those of your family. Whether you’re in the driver’s seat or the furthest row back, the Odyssey contains many convenient elements that are designed to enhance everyone’s driving and riding experience. First, there are the available integrated sunshades for the second-row passengers that shield them from excessive sunlight. For those in the vehicle’s back seat, the available rear privacy glass provides that extra level of comfort. There’s also the available tri-zone, automatic climate control system that provides all occupants the comfort of being able to take full control of the temperature settings within their immediate area. Another major feature that contributes to the overall convenience found within the 2019 Honda Odyssey is the power tailgate. This available feature gives you the luxury of simply pressing a button to open and close the tailgate. It also lets you program how high it goes when it opens, so it remains within your reach. Finally, the Odyssey is available with the remote engine start feature that lets you start the car while you finish up those last-minute details. The Odyssey also makes use of technology that benefits everyone onboard. Most notably, there’s the available CabinControl™. This is a smartphone app that allows everyone inside the cabin to use any device of their choosing to access the navigation system, control the sound system, create and make changes to playlists for the entire cabin to enjoy, and adjust the back-row temperature. Just like the category of technology, when it comes to performance, the Odyssey is built to impress. The main area where this is the most obvious is in its powerful engine. Its 3.5-liter, i-VTEC®, V-6 engine produces a beastly 280 horsepower and 262 lb-ft of torque. 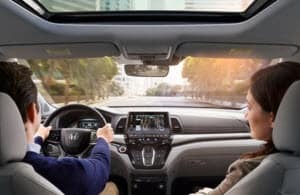 As the above 2019 Honda Odyssey Review shows, the Odyssey has the potential to make a lasting contribution to your Cerritos, Los Angeles, and Long Beach area commutes with its considerable convenience, all-encompassing technology, and strong performance. 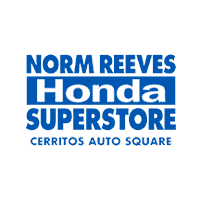 If you’re ready to witness what the 2019 Honda Odyssey can do in person, contact Norm Reeves Honda Superstore Cerritos today to schedule your test drive.